Gurgaon: It is quiet surprising to know that confused women and doubtful men are now buying ‘peace of mind’ at just Rs 10,000 to Rs 20,000, literally. This is not happening due to a new phenomenal therapy available in our country but because of just a simple DNA test called ‘peace of mind’, for men doubting on their wives’ quality of being faithful. And women who are not sure that who is the father of their child? Are also getting their child tested along with their husband’s discreet sample confidentially. In 2007, a 28-year-old man was propelled from obscurity to relative importance when he turned to the Delhi High Court to seek a public acknowledgement of paternity from a senior leader of Congress Party, Mr. N.D. Tiwari. Rohit Shekhar, who said that he is child of an affair that was between his mother and Mr. Tiwari, he spent five years forcing the politician (Mr. N.D. Tiwari) to take a DNA test, when he dint find any relief from Mr. Tiwari he took his case all the way to the Supreme Court, Supreme court ruled it in Mr. Shekhar’s favor. The high-profile nature of the DNA relationship cases have contributed solely in public’s growing awareness about the role of DNA in establishing biological relationships, and now a day’s paternity tests are much more convenient, with private accredited labs offering home paternity testing kits for 10,000 rupees or more, without any need of court permission. A person can swab the inside of a child’s mouth at home with paternity test kit, send the samples of both father and child back to the lab and receive the report within one week. The test is very simple. It requires painless noninvasive swab samples or blood sample of the child and either parent to confirm if they are biologically related. However, the results of these tests cannot be challenged in courts as they are not legally valid. Our marketing team provided us with the information that they have been getting around 100 such paternity test requests every month. 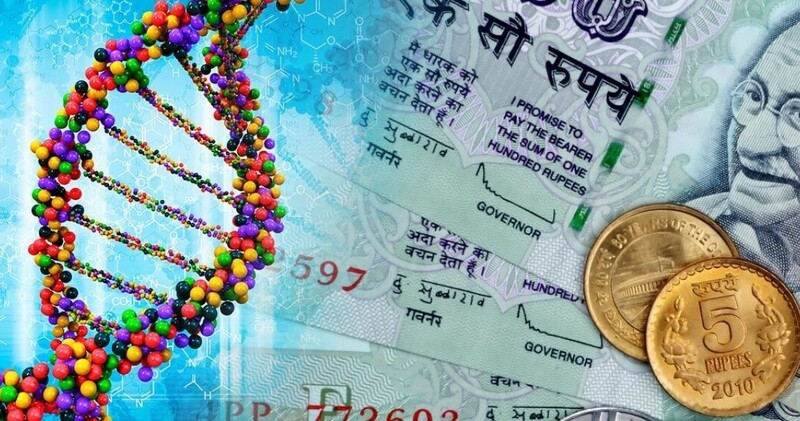 The DNA Test Cost in India is between Rs 10,000 to Rs 15,000 and the test reports are handed over within a week. Cost basically depends on the type of the test. DNA labs Forensics also maintain confidentiality; we can also send ‘paternity test kits’ to the customer’s address and customer can courier it back with the swab samples. “Most of the clients prefer sending their swab samples to lab rather than going for tests to labs. Those who lives in the same city of our collection centers, either they ask for paternity test kits or they call us to their homes for confidential samples by paying extra sample collection charges” Says Our C.E.O. It’s an unusual trait (not matching with father) in the child that makes the father suspicious. It could be the eccentric appearance of the child with the wife’s ex-boyfriend or when a child’s height is much taller than the rest of the family. Nidhi, Client coordinator at DNA Forensics Laboratory, cites the example of a city-based family that approached us for a DNA test as the husband found the child’s complexion a few shades darker than the rest of the family. People have a variety of reasons for ordering paternity tests from private labs, but some DNA testing centers say that many clients are doubting fathers or men who are seeking to end their marriage due to extra marital affairs, and these are the people who are creating a negative impact on whole DNA testing process. We can conduct legal DNA tests if client have a order from court or authority. Researches have proved that it is absolutely important to even take the DNA sample of the mother otherwise the test result is not 100% correct. So, in these types of cases we take samples of all involved party, Father, Mother and child. While motherless paternity test requires additional testing and analysis to produce conclusive results. After GST implementation, we updated DNA test cost in India. See below updated price list for DNA test. For any further queries you can always contact us here for ask about DNA Test Cost in India or call us on our helpline number at +91-8010177771. It is realy surprising to know to find out peace without any therapy. Very good written. Keep writing and posted. to sent mail with complete prosedure to use paternity dna test including cost, location,period for report. Greetings from DNA Forensics Laboratory! Thank you for your inquiry. As requested I am detailing you about our basic DNA paternity trio test. We have centre in Jalandhar kindly confirm when you are planning for the test so that I can share you details. Price: Rs. 16900/-* only father and child test charges will be Rs 12900. Timeframe: Within 4 – 5 working days from receipt of samples at our Laboratory in Gurgaon or New Delhi office. Paternity DNA testing from DNA Forensics Laboratory can help you finally put to rest any doubts about the paternity of your child with brilliant turnaround time, 100% accuracy and complete confidentiality and realizing it as most accurate testing method available via advanced technologies, DNA Paternity testing for Peace of Mind helps in indicating that whether or not a particular man is the biological father of a child. • Legal paternity testing on court order or Immigration purpose. Use this option when you need your paternity test results for any legal purpose. Legal DNA testing from DNA Forensics Laboratory Centre follows a strict chain of custody procedure, making your test results legally defensible. Our legal test results are often used in family law cases, such as child support or child custody disputes, as well as in immigration cases. •	Your DNA test is run twice. Two teams independently process the samples for every case and compare their findings to ensure they are the same. This reduces the possibility of errors that can be caused by sample mix-ups and contamination, which can lead to a false exclusion (an inaccurate report that the tested man is not the father). •	Our laboratory is India’s first state of the art DNA forensics laboratory. Our laboratory is equipped with the latest advancements in DNA testing technology. •	Our DNA Testing services provider laboratory is accredited by the following: ISO/IEC 17025, NABL and CAP Certified. NABL quality standard ISO/IEC 17025 is similar international quality standards that are followed by AABB and NATA. In chhattisgarh,hv u any collection Centers. If any,Kindly mail me with cost for paternity testing. We have sent the details and cost, on provided email id. Thanks. is any other means to test paternity if the sample from a child cannot be taken using swabbing. Or is it possible to take the child’s hair as a sample? but the father’s mouth inside can be swabbed for the sampling purpose. Yes it is possible, we can take swab sample for father and rooted hairs for child, for further information please call at our helpline no – +91 8010177771.